With the advent of alternative music gaining momentum in the Indian market, the commercial room to introduce newer global music is increasing. As curators of niche artists from all over the world, TheVibe explores an eclectic mix of artists from different genres and origins, establishing a central space for all kinds of quality music. In furthering our aim of creating a platform of all things cool, new and unique, TheVibe, along with Krunk, explored new-age artists. Krunk is an event and artist management company founded in 2009 and an influencer of alternative sounds in Indian music scene. Founder/Director Sohail Arora works with ‘the mission to promote alternative sounds in the country, in a place dominated by Bollywood and EDM and push future cutting edge sound.’ Krunk attempts to engage the small but growing number of alternative music lovers in India by offering upcoming niche artists a stage. ‘The focus on live electronic music is a big culture in India- people go out for concerts and watch live shows and DJs’ said Arora. 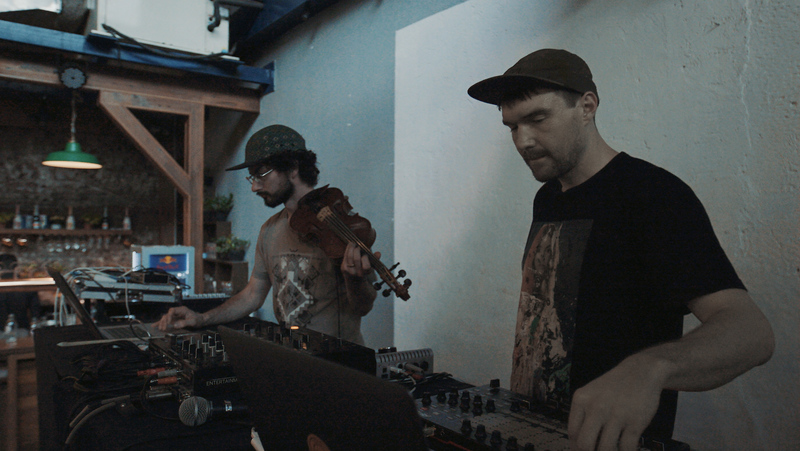 In the pursuit of handpicking artists, influencers and curators, we explored the music of one such popular artist- Emancipator. 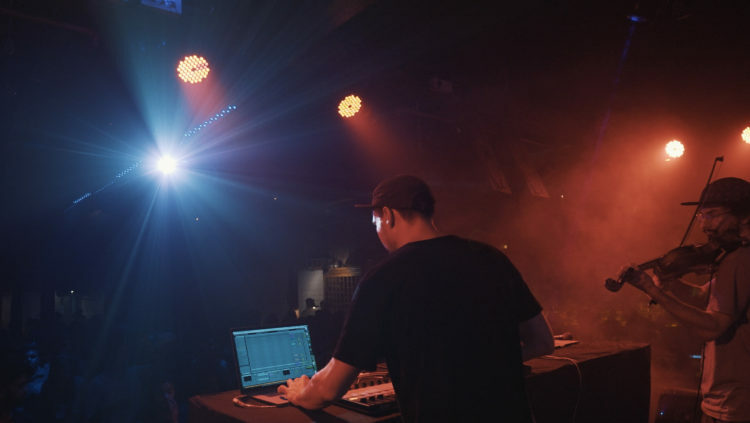 Douglas Appling known by his stage name ‘Emancipator’ is a Portland based DJ and producer. Along with his recording partner and violinist Ilya Goldberg from Russia, he debuted his new album, Baralku, in Mumbai in November 2017. 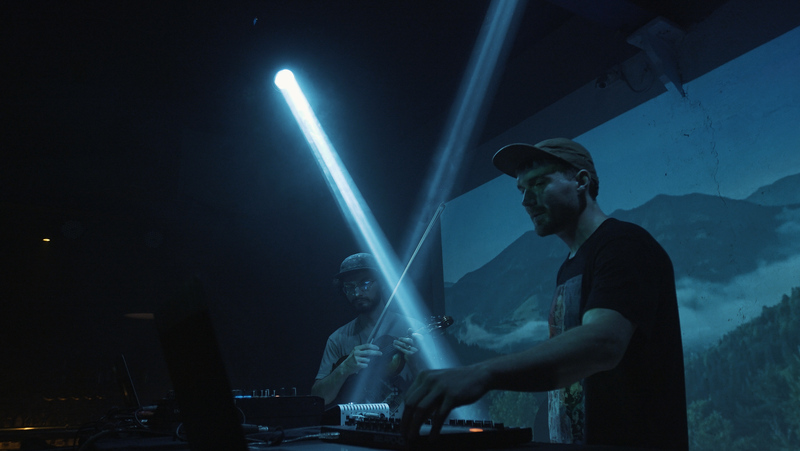 Known for creating tracks influenced by classical music, world music, jazz and rock, listening to Emancipator is an experience on its own. As the first instrument Doug learnt, the violin is an important element of many of his compositions. Raised in a family of music lovers, he owes his penchant for instruments and percussive sounds to his parents. ‘The first instrument I played was a mountain dulcimer, which my father used to build,’ said Doug. 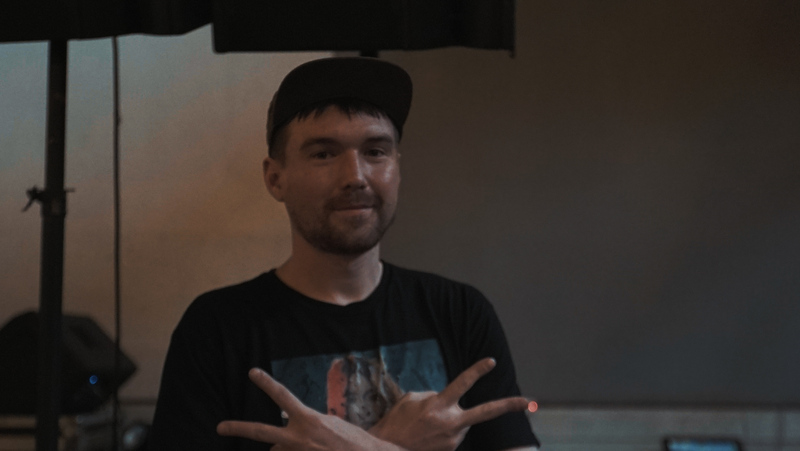 Influenced by instrumental and hip-hop artists such as Bonobo, Doug prefers listening to eclectic future mid-tempo hip-hop. Ilya grew up appreciating music. Born to pianists, he played a variety of instruments before choosing violin professionally. As a classical violinist, Ilya has been heavily influenced by Western classical music and holds Indian classical music in high regard. Having Ilya on stage elevates the duo’s performance, adding a classical live act to the electronic music. This idiosyncrasy and the high quality of music has fostered a strong fan-base in India. ‘It’s a really exciting feeling to travel half way around the world and have people who know the songs,’ said Doug. and cater to the void of commercial platforms for alternative music in the country. Video streams tomorrow only on TheVibe.